VANCOUVER — Update 8-17-18, 10:20pm: Ridgefield Education Association President Joe Thayer and President-Elect Alan Adams tonight announced that Ridgefield teachers have voted to go on strike starting August 29, unless a new deal can be reached by then. REA is seeking a 25 percent pay increase for teachers, along with reduced class sizes, a lower workload for Special Education teachers, and better curriculum. The district has offered 15 percent, but also is seeking additional work days and a reduction in Time Resource and Incentive pay that many teachers currently receive for work outside of the classroom. Clark County Today has reached out to the Ridgefield School District for comment and will update this article as soon as they respond. It appears a number of local school districts could be headed for a potential teacher strike as the new school year looms. Vancouver School District teachers are being asked to vote through midday Monday about whether they would be willing to start the school year on August 29 without a new contract. At a Vancouver Education Association meeting Thursday night, Executive Director Dr. Rick Wilson says the majority of the 400-500 members who showed up were clear that they would not return to school without a new contract. “So they clearly gave the bargaining team the marching orders that we need to work to get a contract,” Wilson told ClarkCountyToday.com. At this point, Wilson says the district’s offer is for an 8 or 9 percent increase over last year, which would include some additional working days. On Friday teachers in the Woodland School District were expected to ratify a 22.83 percent pay increase. Earlier this week the Evergreen School District announced they were offering teachers there a raise of over 8 percent. Their union has yet to respond to a request for comment on the offer. The Hockinson School District’s board of directors announced they will hold a special meeting on Monday. Sources say teachers there are willing to strike if a deal can’t be reached. 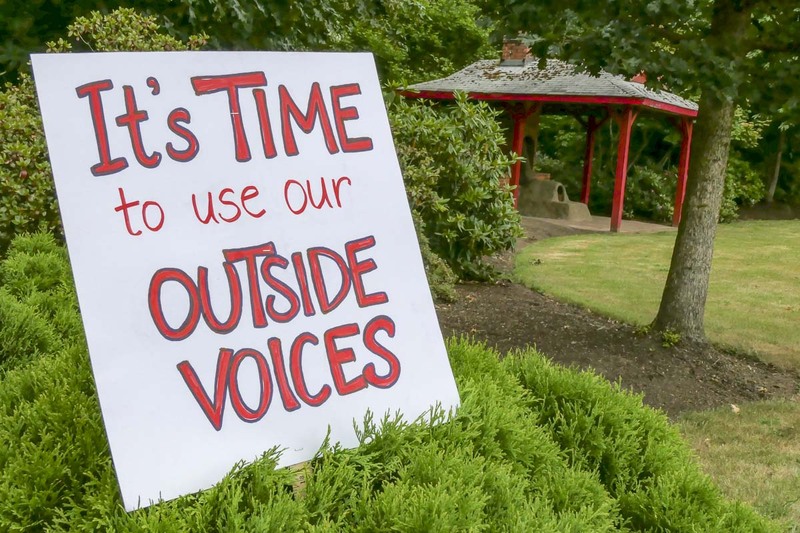 Battle Ground’s school board will meet both Monday and Tuesday, with the teachers and union having scheduled a meeting on Wednesday. Teachers in the La Center school district have reportedly agreed not to go on strike as contract negotiations continue there. In Ridgefield, the district is offering teachers a 15 percent raise next year, arguing that doing so will actually leave them with a budget deficit. The teacher’s union argues that the district is using faulty math. All of this stems from the Washington Legislature’s move to fully fund education this past February by adding an additional $2.1 billion over two years earmarked for wage increases for teachers and other unclassified staff. Part of doing so meant shifting responsibility for funding education away from local levies, to state funding. To make that happen, the legislature put a cap on how much districts can receive from local funding levies. Superintendents across the districts argue that the latter move is kneecapping the way they pay for added programs, special education, and school resource officers, counselors and more. Teachers and their union representatives agree that districts are losing some funding, but say the money to make up for that shortfall shouldn’t be coming out of what the state earmarked for teacher wages. Another issue is the formula the state used to determine how much, per student, districts can raise through local levies, according to Wilson. Clark County Today will be monitoring meetings and negotiations as they continue next week. Be sure to check back here, or follow us on Facebook and Twitter for the very latest updates.